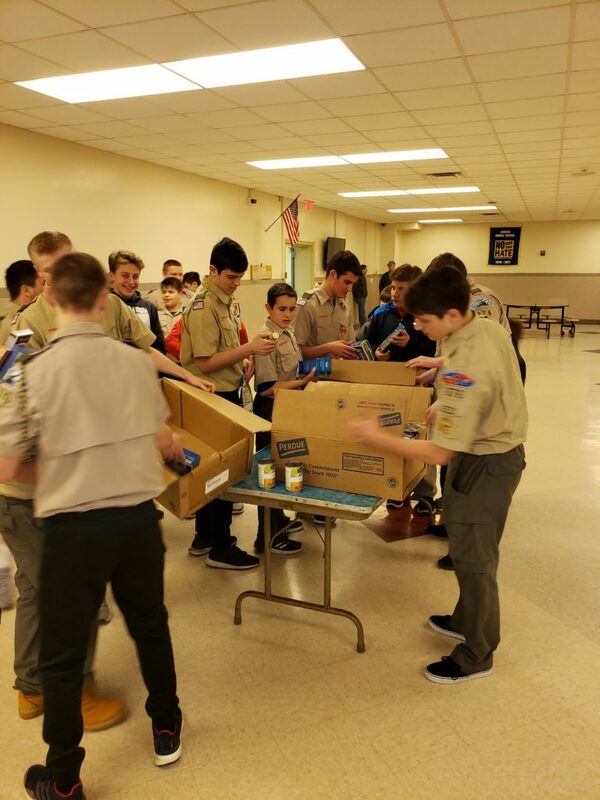 The Troop conducted its annual Scouting for Food Drive and collected food for donation to the St. Luke’s food pantry here in Somers. All collected items will support local families in need. Happy Birthday Mrs. Barlow and thanks for all you do for Troop 376! The Scouts were treated to a Pizza party compliments of Mrs. Barlow (Pizza from Frank’s Pizza) who wanted to celebrate her birthday with the Scouts. 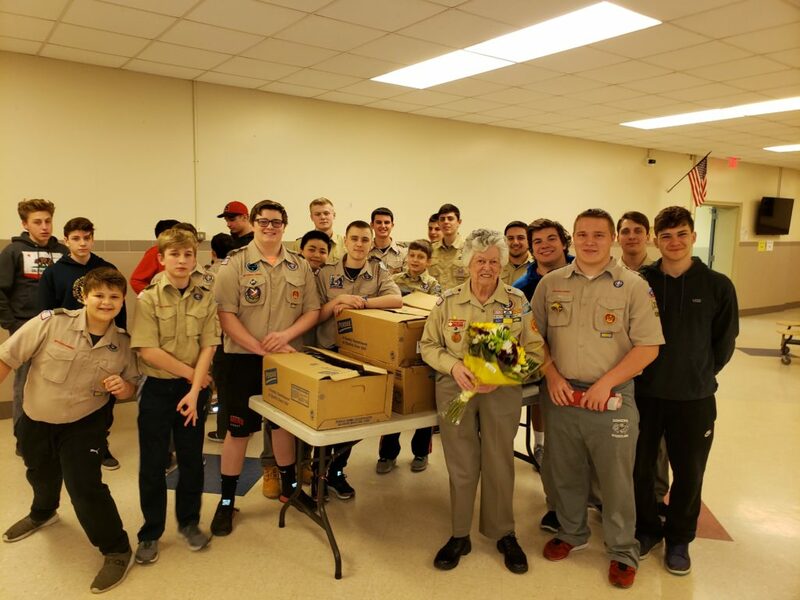 The Scouts reciprocated by singing a well coordinated chorus of “Happy Birthday”, shared a birthday cake and presented Mrs. Barlow with a bouquet of flowers.